How do you get a hot lap with, Top Gear’s tame racing driver, The Stig? Ordinarily it's not that simple. You have to do is become a successful British or International celebrity. Then cross your fingers that you get invited to participate Top Gear's ‘star in a reasonably priced car’ segment in the UK. Then, hopefully, in preparation for that segment, the Stig, who does the celebrity driver tuition, will take you for a lap of the Top Gear Circuit to demonstrate what to do. There is an easier way thanks to Yokohama. At the Top Gear Festival 2013 we gave one lucky person a Hot Lap with the Stig. It blew his mind. That's when we realized we want five to give away in 2014. What is a hot lap? It's when an average person gets in the passenger side of a racing car with a 'tame racing driver' for a fast lap around a race track. After the lap the passenger normally exists the car on shaky legs, with a big smile and a new perspective on the laws of physics. 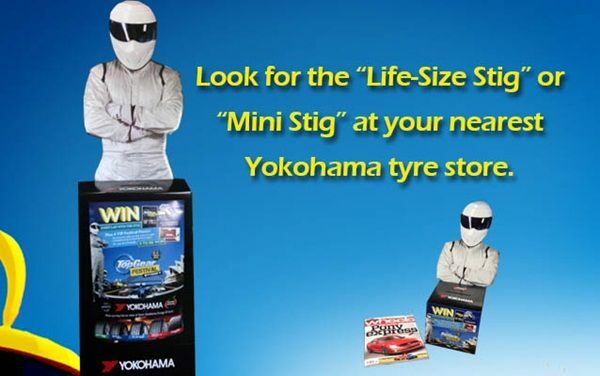 How do you enter the Yokohama Hot Lap with The Stig promotion? Just buy two or more Yokohama [url="http://www.yokohama.com.au/Footer/About-Yokohama/Orange-Oil-Tyres.aspx"][COLOR="#FF0000"]orange oil car tyres or SUV tyres[/COLOR][/url] before Tuesday 18th February 2014 and go in the draw to win one of five prize packages which include a hot lap with The Stig. Yokohama Orange Oil Tyres are the official tyre partner of the Top Gear Festival Sydney. Yokohama tyre Australia is the [url="http://www.topgearfestivalsydney.com.au/"][COLOR="#FF0000"]exclusive tyre partner of the Top Gear Festival Sydney[/COLOR][/url]. That allows us to be on a first name basis with ‘The’ (Stig) and put together some pretty impressive prize packages. 2 x twin share hotel rooms for Friday night 7th March. 4 x return flights for those who live outside NSW. 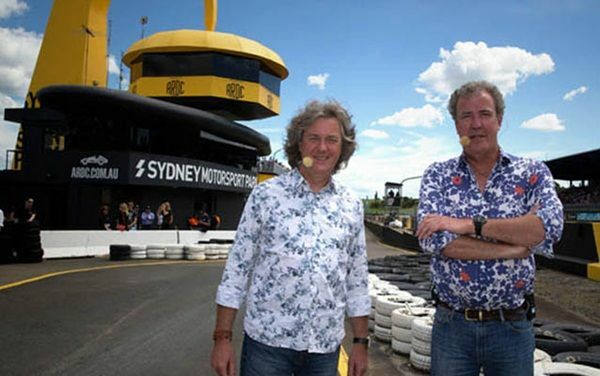 Top Gear's James May (left) and Jeremy Clarkson will be joining The Stig for the Top Gear Festival 2014. 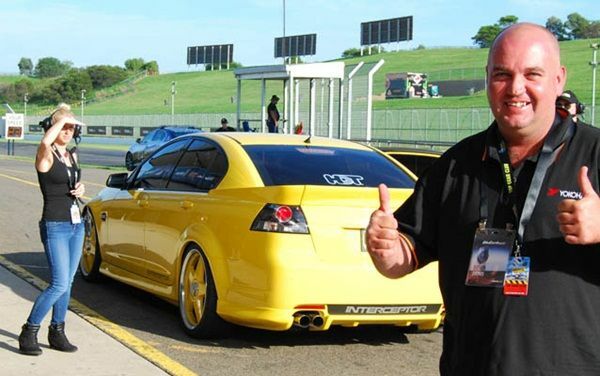 The Top Gear Festival Sydney is a two day event at Sydney Motorsport Park, Eastern Creek, NSW. The Top Gear Festival 2014 dates are Saturday 8th and Sunday 9th March 2014. The world-famous presenters Jeremy Clarkson, James May and their tame racing driver The Stig recreate a live version of the famous Top Gear TV show with the help of a great variety of cars and celebrities. The inaugural Top Gear Festival Sydney in 2013 attracted over 41,000 people. The 2014 Top Gear Festival should be even bigger. The line up includes the Infinity Red Bull Racing F1 team. New Aussie driver Daniel Ricciardo will attempt to beat Mark Webber's Sydney Motorsport Park Grand Prix Circuit lap time of 1:13.606. There will also be the Porsche GT3 Cup Challenge, Stig Powerlaps, Stunt driving, Drifting, Postie Bike Challenge, Car Football and a whole lot more. 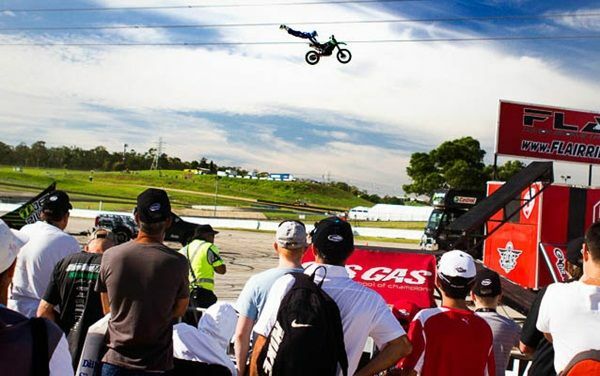 In 2013 the 'Yokohama Stunts and Jumps Zone' featured some extreme motorbike stunts. Don't worry, the rider pictured above doing a 'Superman' landed safely (but is unlikely to father children). There are five tyres in the Yokohama orange oil tyre range. 1. The Yokohama BluEarth (AE01) a [url="http://www.yokohama.com.au/Tyres/BluEarth-AE01.aspx"][COLOR="#FF0000"]fuel efficient tyre[/COLOR][/url] for small to medium cars. 2. The Yokohama C.drive2 (AC02) a [url="http://www.yokohama.com.au/Tyres/C-Drive-2.aspx"][COLOR="#FF0000"]safe tyre with good wet grip[/COLOR][/url] for small to large cars. 3. The new ADVAN Sport (V105) a prestige high performance tyre. The perfect mix of comfort and performance. 4. The ADVAN Neova (AD08R) a [url="http://www.yokohama.com.au/Tyres/ADVAN-Neova-AD08.aspx"][COLOR="#FF0000"]high performance tyre for road and race track[/COLOR][/url] use. 5. The Geolandar SUV (G055) a [url="http://www.yokohama.com.au/Tyres/Geolandar-SUV.aspx"][COLOR="#FF0000"]long lasting fuel efficient highway terrain tyre[/COLOR][/url] for urban 4x4s. [url="http://www.yokohama.com.au/Footer/About-Yokohama/Orange-Oil-Tyres.aspx"][COLOR="#FF0000"]Yokohama Orange Oil tyres[/COLOR][/url] are available at Tyres & More, Bob Jane T-Marts and independent [url="http://www.yokohama.com.au/Store-Finder.aspx"][COLOR="#FF0000"]Yokohama tyre stores[/COLOR][/url] listed on our website. To enter check the store has a Stig entry box and entry form. Then purchase your [url="http://www.yokohama.com.au/Footer/About-Yokohama/Orange-Oil-Tyres.aspx"][COLOR="#FF0000"]Yokohama orange oil car tyres or SUV tyres[/COLOR][/url], fill in the entry form with your contact details and proof of purchase invoice number. Then place your entry in the entry box and cross your fingers. If, for some reason, your favourite Yokohama tyre store doesn't have an entry form and/or competition entry box we have a plan B. The winners will be drawn at 10am on Friday 21st February. Once the entries are verified we’ll contact the winners and post the results in the General News section of the Yokohama website. 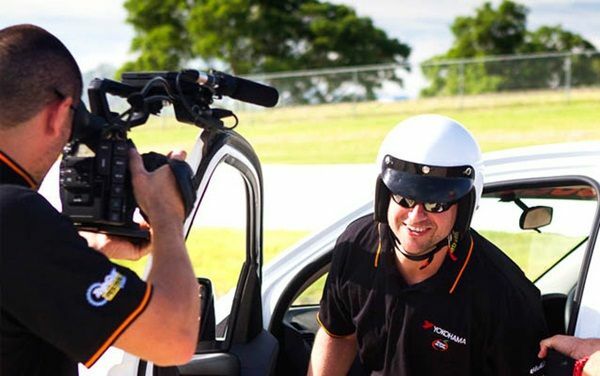 Here's a little taste of what's in store if you win one of 5 Hot Laps with The Stig at the Top Gear Festival Sydney on 8th March 2014. Remember, if you're a winner, you also get VIP tickets for YOU and 3 friends. Plus flights and accommodation in Sydney. Just buy Yokohama Orange Oil tyres and enter in-store at Bob Jane T-Marts or Tyres & More stores before 18th February.